EDINBURG — Havidán Rodríguez, founding provost at the University of Texas Rio Grande Valley and former interim president of UT-Pan American, has been named president of the State University of New York at Albany. The formal appointment was announced Wednesday and will take effect mid-September. Rodríguez, who also leads UTRGV as executive vice president of academic affairs, will become the 20th president of the institution succeeding former President Robert Jones, who left the position in 2016. “This is a bittersweet moment because I’m excited for this new opportunity, but it will also be difficult to leave a great university and community that my family and I were honored to call home for six years,” Rodríguez said in an announcement. He initially moved to the Valley in 2011 when UTRGV’s legacy institution, UTPA, hired him as provost and vice president of academic affairs. 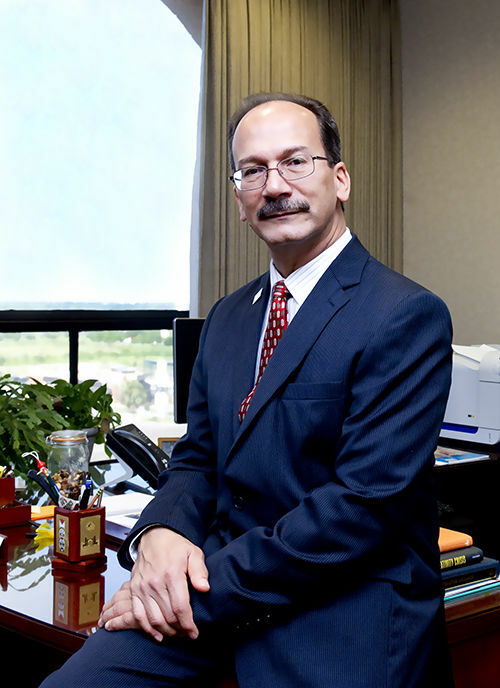 In the year prior to UTPA’s transition to UTRGV, Rodriguez served as interim president. He previously served as deputy provost and vice provost of academic affairs at the University of Delaware and other administrative positions at the University of Puerto Rico. UTRGV President Guy Bailey said Rodríguez’ position will be a hard one to fill, but said he knew from the get go that Rodriguez was ready to lead an institution. The search to replace Rodríguez is scheduled to begin immediately, Bailey said, adding he will begin meeting with UTRGV deans, Rodríguez’ leadership team, faculty senate and vice presidents to identify candidates to fill the position in the interim. An interim replacement should be named over the next month or six weeks, he said, then the plan would be to begin the search for a permanent replacement no later than September. The goal is to have the position filled at the latest by next summer or the earliest by January. The search is not expected to be easy as Bailey said he will be looking for somebody who understands the university culturally and academically, and somebody who is ready to lead a newly created, widespread and growing university. Rodríguez could not be reached for comment, but in an announcement sent out by the university, he said he will keep an eye on UTRGV’s accomplishments. Earlier this year Rodríguez was also named one of three finalists for a chancellor position at the University of Colorado, a job he didn’t get. Needless to say, his upcoming departure didn’t come as a surprise to Bailey who said he was happy to provide a recommendation to Rodríguez for the position. “American higher education needs really good leaders and good presidents, so when you see those people who have the ability to provide great leadership, you want to encourage them to get in leadership roles,” Bailey said.